Appropriate for beginning to intermediate courses in computer security. 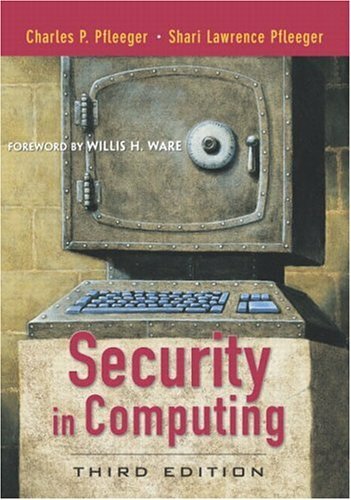 This sweeping revision of the classic computer security book provides an authoritative overview of computer security for every type of system, from traditional centralized systems to distributed networks and the Internet. 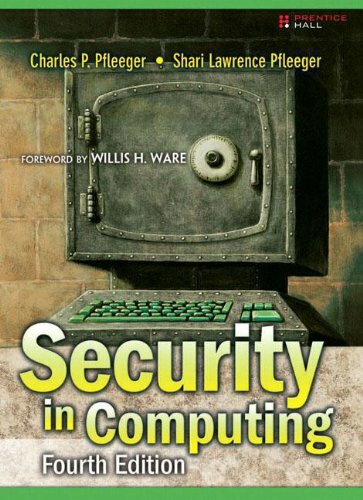 The Third Edition has been updated to reflect the state-of-the-art in networking; cryptography; program and operating system security; administration; legal, privacy, and ethical issues, and much more. It combines core computer science concepts related to operating systems, networks, data bases, and programming, with accessible discussions of the use of cryptography and protocols. 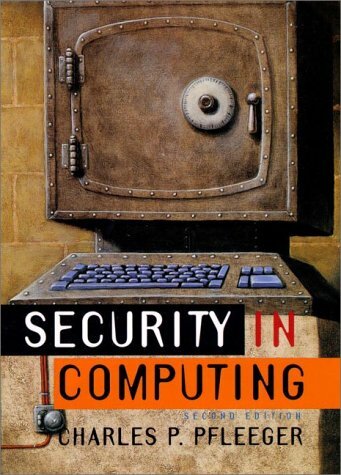 The book describes each important area from a developer's or user's point of view, lays out the security vulnerabilities and threats, and follows countermeasures to address them. Their book's layered approach is ideal for instructors who wish to customize courses based on their unique requirements. They also provide extensive pedagogical resources-including overviews, end-of-chapter reviews, lists of key terms, and updated exercises and references. The authors are recognized experts in their fields. Lead author Dr. Charles P. Pfleeger, CISSP, is currently Master Security Architect for Cable & Wireless, one of the world's leading providers of Internet and secure infrastructure services. Co-author Dr. Shari Lawrence Pfleeger is a Senior Researcher at RAND Corporation, a not-for-profit company providing strategy and decision-making support in the public interest. 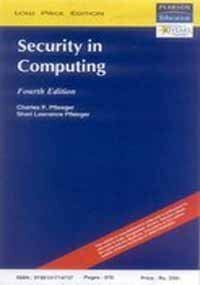 They are the authors of more than a dozen previous books on computer security, software engineering, software measurement, software quality, and programming. Supplements including a solutions manual, PowerPoints and a companion website are available. In the "Resources" box above, please click on "Instructor." CHARLES P. PFLEEGER is a Master Security Architect for Cable & Wireless, the world's premier web hosting and Internet solutions provider. He regularly advises clients on secure design and implementation of network applications and architectures. SHARI LAWRENCE PFLEEGER, senior researcher for RAND, is author of eight books on software engineering, measurement, and quality, including Software Engineering: Theory and Practice, Second Edition (Prentice Hall). She was named by The Journal of Systems and Software as one of the world's top software engineering researchers. Foreword by Willis H. Ware.